Everything about IT: Scott Souder has started his blog. 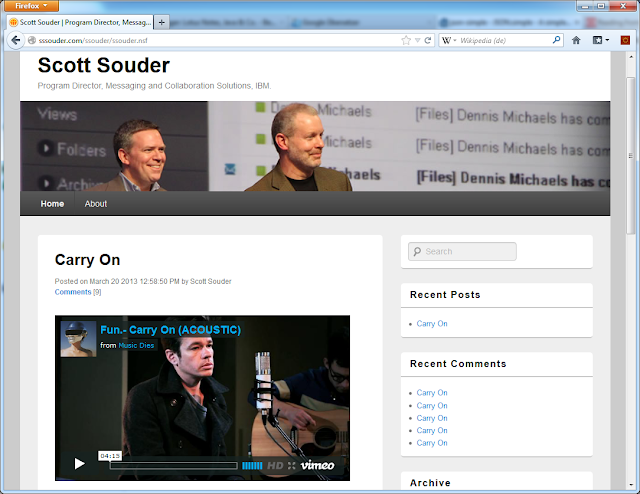 Scott Souder has started his blog. Scott Souder the successor of ed brill in the IBM Messaging and Collaboration division has started his new blog on sssouder.com. I hope his blog will get as informative as the blog of ed brill which was one of the most valuable information source in the IBM collaboration bubble. So good luck to scott souder in his new role and with his new blog. And by the way, the blog he is using runs on Domino and looks really well.